In Prof. Galtung’s rather timely book “The Fall of the U.S. Empire — And Then What?” he spells out his prognosis for the conditions under which the US may either blossom as a republic or experience the demise of its global empire. Trump’s deeds: Attacking the Affordable Care Act; the “global gag rule” against abortion; the federal regulation and hiring freeze; canceling the TPP; restarting the Keystone XL and Dakota Access Pipeline; limiting entry with the Mexican Wall; the 90-day travel ban on seven countries; more undocumented people prioritized for deportation; no federal funding for cities refusing to cooperate; communications blackout from federal agencies; Guantánamo torture continued–What does it add up to? A very strong white state centered on a president with absolute power and control over life (birth) and death (care) of the citizens. Not regulating police racism. So far, no order on the military. Fascism? Too early to say; but in that direction. It opens for questions about the inner workings of Donald J. Trump. Who is he? Combine the two points just made: autism and immediate enactment. He acts, and from his bubble does not sense how others will react, and increasingly proact. He assumes that others will accept his orders, obey, and that is it. It is not. His orders my even backfire. Take the seven countries targeted by Trump for collective punishment: Iraq, Iran, Libya, Syria, Sudan, Somalia, Yemen; the old seven with state central banks targeted by Bush, with Yemen substituted for Lebanon. All mainly Muslim. Imagine them reacting by cooperating, learning from China to raise the bottom up, starting building a West Asian community with links across the Red Sea, and “Saudi” Arabia soon joining? It is difficult to imagine that there will not be a CIA response, being challenged and provoked by Trump, not only for accusing Russia of intervening to his advantage. There are probably at this moment countless meetings in Washington on how to get rid of Trump. Yet, he has command over not only his Executive, Congress and the Supreme Court, but also over the overwhelming number of states in the union. US presidents have been assassinated before Trump when the forces against are sufficiently strong. Could somebody from the Travel ban 7 be hired to do the job, making it look as a foreign conspiracy? Another and more hopeful scenario would be nonviolent resistance. Difficult for border officials. But inside the USA people to be deported may be hidden, protected by their own kind and by others–with care though, Trump also has some good points. More constructive would be alternative foreign policies by cities, at present not by the federation, nor by most of the states. Reaching out to the seven and above all to Mexico for dialogue; searching for better relations than at present and under Trump. Preparing the ground for something new, under the Democratic Party or not. Not a third party, impossible in the USA it seems, but as general approach. The relation between New York and Baghdad, Tehran, Damascus, Tripoli, Khartoum, Mogadisciu and Sana’a as an example. Still some space! 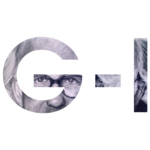 Johan Galtung’s article originally appeared on Transcend Media Service (TMS). His book The Fall of the US Empire and then what? is available here. Also read the transcript from the Democracy Now dialogue between Amy Goodman and Prof. Galtung. AMY GOODMAN: We turn right now, in the last few minutes, to a man who has spent the last half-century pursuing nonviolent conflict resolution. He’s known as a father of peace studies. His name is Johan Galtung. 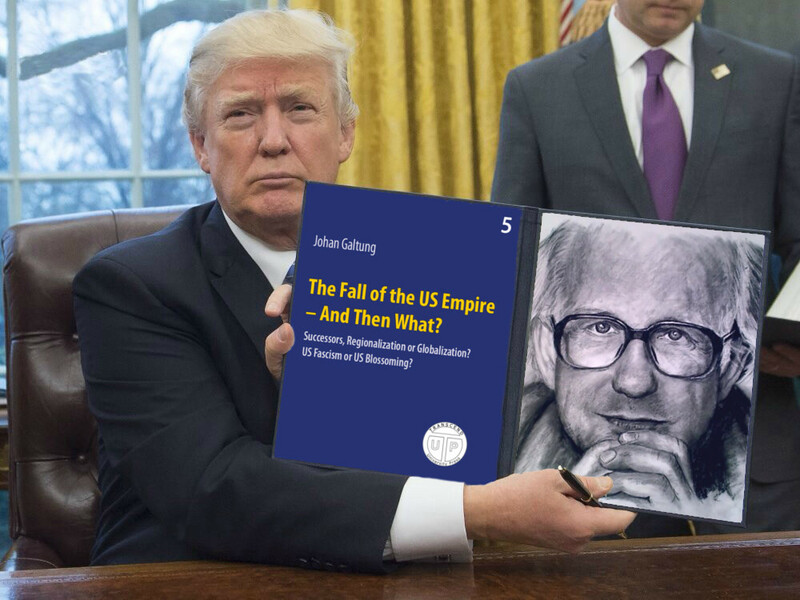 His latest book, The Fall of the US Empire–And Then What? : Successors, Regionalization or Globalization? US Fascism or US Blossoming? It’s an empire against a wall; an empire in despair; an empire, I would say, in its last phase. My prediction in the book that is here, that you mentioned, The Fall of the US Empire–And Then What?, is that it cannot last longer than ’til about 2020. In 1980, I predicted for the Soviet empire that it will crack at its weakest point, the wall of Berlin, within ten years, and it happened in November 1989, and the Soviet empire followed. So my prediction is a similar one for the US empire. And that could lead to the blossoming of the US. JOHAN GALTUNG: Within ten years — well, the prediction was made in year 2000, and I actually said twenty-five years. But then Bush was elected president, and his narrow vision, his fundamentalism, made me cut it by five years, because I saw him as an accelerator, which he certainly did, launching three wars — war on terrorism, war on Afghanistan and war on Iraq. Now, this comes after the US did not win 1953 in Korea and lost 30 April, 1975 in Vietnam. In other words, we are now in war number five of major significance. That is typical for the decline of the empire that it goes like that. When you ask me why did I have that time horizon, well, I made a comparative study of quite a lot of declines of empires. I’m a little bit of an expert on that, actually. And there are certain factors that are similar. They rise and decline more quickly now. Of course, the two Roman empires, the Western and the Eastern, lasted longer. Now it’s quicker. The US started, I would say, in 1898, walking into the shoes of the dying or dead Spanish empire. And we are now dealing with a phenomenon which is about 110, 112 years old. And as I told you, I put the upper limit at 2020.